← Happy Independence Day, Uruguay! 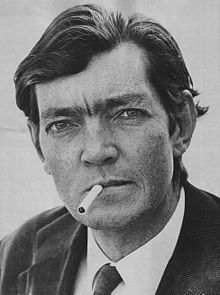 Julio Cortázar was born Aug. 26, 1916 in Belgium and died in 1984 in Paris. But he was raised in Argentina and, with his inventive novels and short stories, he’s considered one of Latino literature’s finest writers. Cortázar also wrote the short story “Las babas del diablo” (“The Devil’s Drivel”), which inspired the 1966 movie Blowup and is part of the collection Blow-Up: And Other Stories.